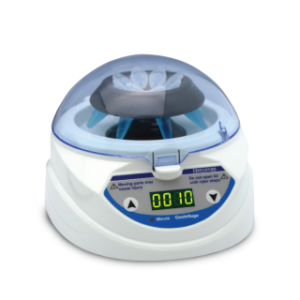 TT-4500 Low Speed Centrifuge is a contemporary low speed benchtop centrifuge designed for operation with centrifuge tubes and conical tubes up to 50ml. 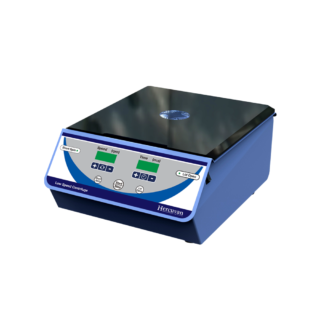 It is intended for biological sample separation with adjustable speed range of 300-4500rpm which is widely used in various profile laboratories including biomedical, pharmaceutical, microbiology and molecular biology. Three autoclavable angle rotor options are available to accommodate common tube sizes (5ml, 7ml, 10ml, 15ml and 50ml). 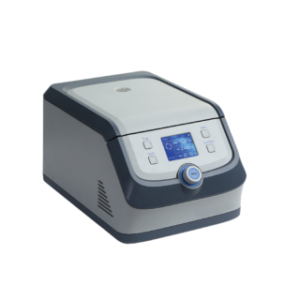 The device enables rapid and gradient acceleration (30 sec) and deceleration (20 sec), thus eliminating time-consuming and centrifugation process. You may enjoy a peace of mind while operating the unit as it comes with safety features such as double-layered safety lid with auto-lock function, alarm and stop automatically when over-speed, over-heat and imbalance occurred. Operating noise level is also low at ≤56 dB to avoid any unwanted distraction in the laboratory. Biological sample separations of cellular materials, lipid cell, stem cell, blood, urine etc. 1) How to open the lid in case of power failure? Upon power failure while running, the lid will have to be opened manually. Wait until it has come to a full stop. Then, unplug the power cord. Press the shaft on the left hole on the equipment and the lid will open. Please refer to the manual for more information. 2) What is the minimum speed increment? 3) What are the maximum values for acceleration and deceleration times? The acceleration time to reach the maximum rotational speed is approximately 30 sec while the deceleration time from the maximum rotational speed is about 20 sec. 4) How do we maintain the rotors and interior of the centrifuge? 5) What kind of solution should we avoid to clean the centrifuge? Do not use detergents that contain chlorite ions as it often contributes to corrosion. Avoid using acetone and caustic detergents as well as dishwashers because some aggressive cleaning agents may cause corrosion. 6) Are the rotors autoclavable? 7) How do I balance my samples? Always balance your samples because running a centrifuge with unbalanced load may lead to permanent damage of the centrifuge. Also check the rotor holes for any spill or leftover residue from previous run, remove if any, as they may lead to unbalanced operation. If you only have one sample to run, make sure to put another tube with the same volume of water in the opposite hole. Balancing by mass is recommended if the density of sample and water is different. This practice is critical and may just save your life and others in the lab. 8) What other tips or safety precautions should we take while using the centrifuge? 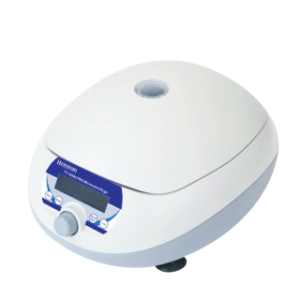 Always place the centrifuge on a flat and firm surface. Never try to open the lid while it is running. 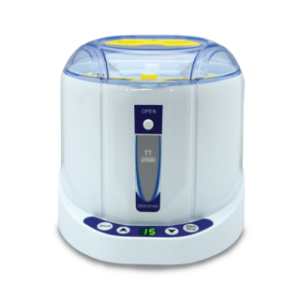 If the centrifuge starts wobbling or shaking drastically, pull off the power cord immediately. Always check the tubes for cracks because cracks can cause spillage while running and lead to imbalance operation.